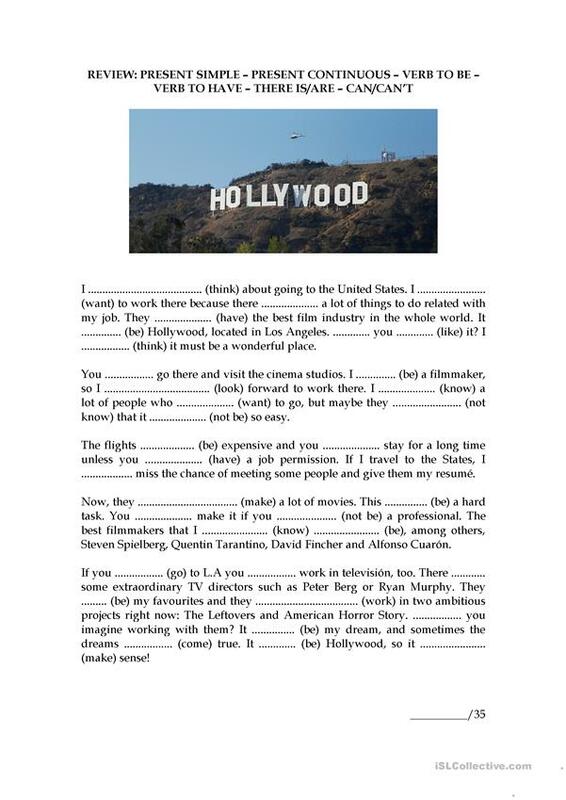 Fill in the gaps so you can practise PRESENT SIMPLE – PRESENT CONTINUOUS – VERB TO BE – VERB TO HAVE – THERE IS/ARE – CAN/CAN’T. Special for beginners! This downloadable printable was created for high school students, elementary school students and adults at Beginner (pre-A1), Elementary (A1), Pre-intermediate (A2) and Intermediate (B1) level. It can be used for improving your students' Reading and Writing skills.